Supposed Xbox Ten updated: spec sheet shows Next Gen Kinect with 10 times the precision. Supposed Xbox Ten updated spec sheet shows Next Gen Kinect with 10 times the precision. This morning SegaLeaks has received an updated spec sheet for the successor to the Xbox 360. The above spec sheet was handed to us by an associate of Microsoft from within it’s Seattle headquarters. The spec sheet reflects the final retail game box, whereas the previous spec sheet found here on SegaLeaks was of an earlier prototype which was later watered down in order to hit a sub $400 launch price point. The initial design also called for a built in HDD whilst the final retail model is to forego this component. Sorcery will be fully playable at Sony's Holiday Showcase in New York City this December. "The PlayStation Team here at IGN gets a lot of questions from readers. A lot. One of the more common ones is about the PlayStation 3 game Sorcery. Originally shown at E3 2010 as a promising title utilizing PlayStation Move, all has been quiet about Sorcery ever since. Is the game still coming? Is it stuck in development hell? Or -- worse yet -- was it outright cancelled? Today, we can report that Sorcery is still in development, and better yet, we'll be seeing more about it soon. Speaking with IGN, Sony's Eric Levine told us that "Yes, Sorcery is still in development and we're very excited to show everyone how this PlayStation Move exclusive game is coming along." Better yet, Sorcery will be fully playable at Sony's Holiday Showcase in New York City this December, where we'll be able to provide you with our very first hands-on impressions. " The PlayStation Move Game that had everyone talking at E3 2010 then cast the invisibility spell on it's self, will finally re appear & be playable at Sony's Holiday Showcase in New York City next month ,December 2011. 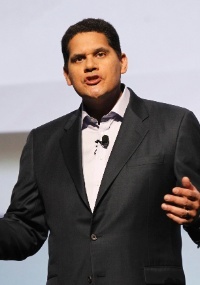 Reggie Fils-Aime: Kinect & PlayStation Move slow at providing games & great experiences. "After our competitors become aware of what Nintendo can do, as they will innovate and bring new experiences for consumers that can only be made possible with another system? You know, perhaps speaking from the perspective of our performance in the U.S., even after our competitors have launched their movement devices, once the initial excitement, where are the games, cool experiences? They have been slow in putting this into practice." PlayStation Move best motion controller for FPS? so why was the 2 biggest FPS of the year released without Move support? How exactly are the PlayStation Move controls going to work? We’ve got the Move controls working now back at the studio, certainly more so than we had when we announced it at E3, and really we’re just waiting for the opportunity to show that with a new piece of content. It’s working well but we still have a lot of polishing to do. Of all the motion controllers in the world, the Move is the one best suited to a first-person shooter, and a lot of PlayStation games have done a great job incorporating it. I will say that we’re discovering some great opportunities with the Skyline gameplay, but rather than show it to people with an old demo, I’d prefer to show it with a new piece of content. PlayStation Move is the best suited Motion Controller for first-person-shooters, according to Bioshock's writer & Creative Director , Ken Levine, so why was the 2 biggest FPS of the year released without PlayStation Move support? should Sony push 3rd party devs to support PlayStation Move? because not having Move support for Battlefield 3 & Call of Duty: Modern Warfare 3 was 2 big missed opportunities. what are your thoughts on this? leave your comments below. 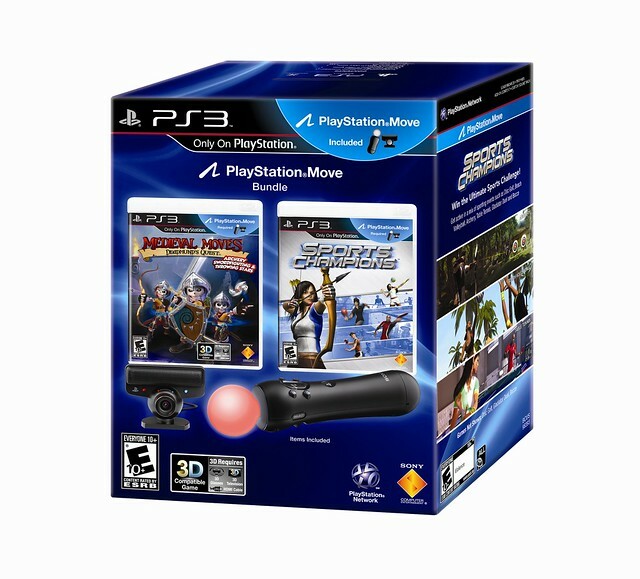 The 1st of the 2 bundles include 2 PlayStation Move Games Sports Champions & Medieval Moves: Deadmund’s Quest. with everything you will need to play the games 1 PlayStation Move Controller & PlayStation Eye camera at a retail price of $99.99 (MSRP). The 2nd bundle is PlayStation3 Everybody Dance Bundle witch includes Everybody Dance, a 320GB PlayStation 3, a PS Move motion controller, a PS Eye camera and a DualShock 3 wireless controller.